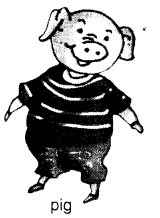 NCERT Solutions for Class 1 English Chapter 2 Three Little Pigs are part of NCERT Solutions for Class 1 English. 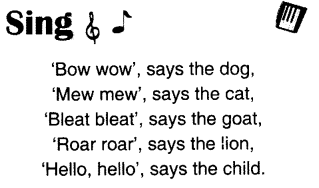 Here we have given NCERT Solutions for Class 1 English Chapter 2 Three Little Pigs. This story is about three little pigs named Sonu, Monu and Gonu. Sonu lived in a house made of straw and Monu lived in a house made of sticks. On the other hard, Gonu lived in a house made of bricks. One day a big cruel wolf came and blew off the houses of Sonu and Monu. Sonu and Monu ran to Gonu’s house. Suddenly, the wolf came there and blew off the house of Gonu as well. 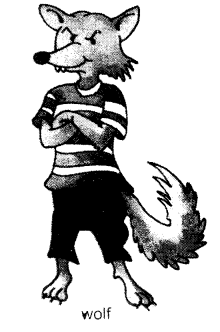 But, wolf would not blow Gonu’s house because it was strong and made up of bricks. The wolf went away and after that all the three happily lived together in the red brick house. lived in a house of bricks. and he blew the house down. 3. Sonu ran to Monu’s house. 4. Sonu and Monu ran to Gonu’s house. happily together in the red brick house. The wolf was big and bad. The pig was not big. How many pigs were there? What did the big wolf say to the pigs? बड़े भेड़िए ने सूअरों से क्या कहा? The big wolf said to the pigs that he would blow away their houses. Was the wolf good or bad? भेड़िया अच्छा था या बुरा? तुम्हारा घर किस चीज़ से बना है? My house is made up of bricks. Act out the story of the wolf and three pigs. 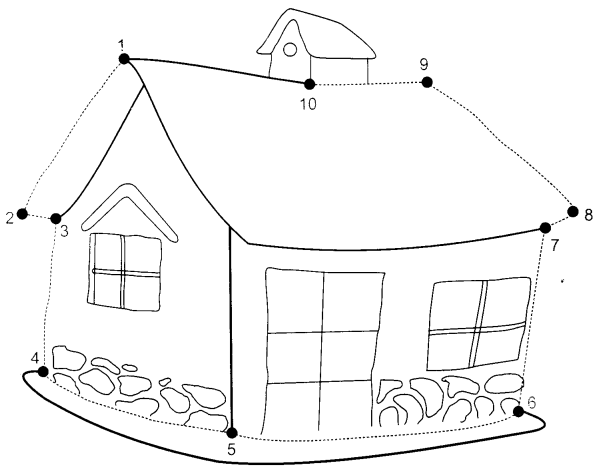 Join the dots from 1 to 10 to make the house. Then colour the picture. 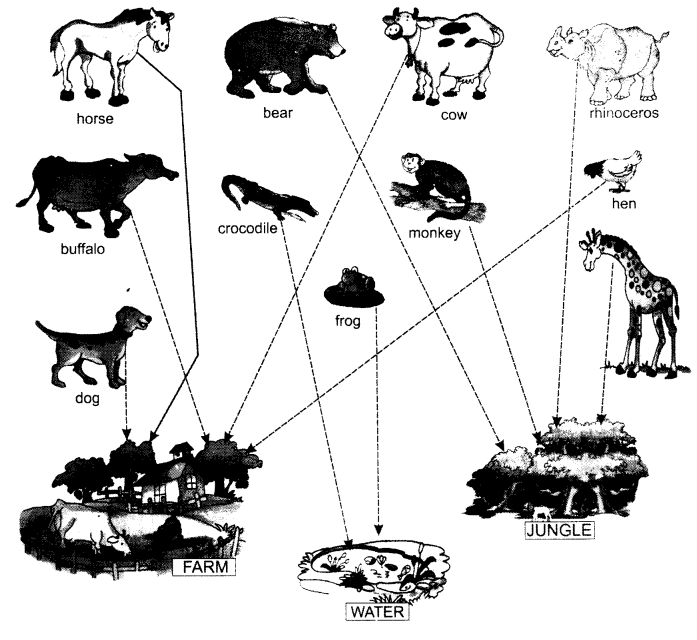 There are farm animals, water animals and jungle animals in this picture. Help the animals reach their homes. Draw lines. We hope the NCERT Solutions for Class 1 English Chapter 2 Three Little Pigs, will help you. If you have any query regarding NCERT Solutions for Class 1 English Chapter 2 Three Little Pigs, drop a comment below and we will get back to you at the earliest.